halloween hoaxes | Book Fight! 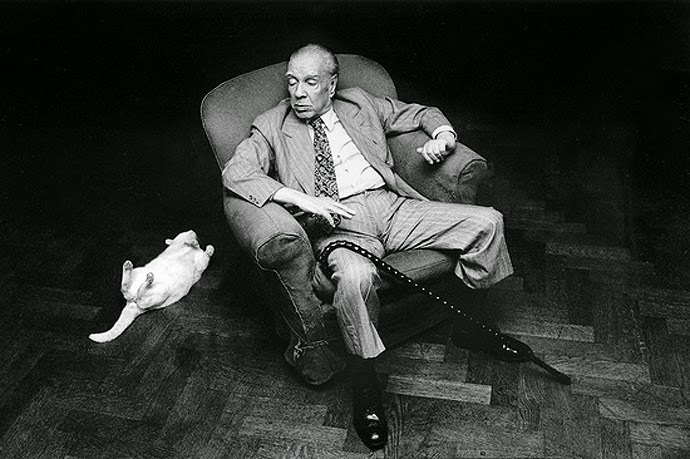 This week we’re back with another fraud-themed story, this one from an upstart indie author named Jorge Luis Borges. Probably you haven’t heard about him. He’s pretty obscure. Anyway, early in his career he wrote this whole collection of stories based on real-life criminals. The story we read, “Tom Castro, the Implausible Imposter,” was published (in English) in Harper’s, so you can find it that way, if you have access to their digital archives. Otherwise you can just take our word for it that it’s a perfectly fine story. Here’s a picture of the author with a cat. Also this week, we talk about various Halloween-themed hoaxes, including razors in candy, and a BBC television production about a haunted house that apparently caused PTSD symptoms in a number of viewers, and was even partly responsible for a death. Categories: Episodes, fall of frauds, Summer of Selfies | Tags: fall of frauds, halloween frauds, halloween hoaxes, Jorge Luis Borges, short stories about criminals, short stories about fraud, short stories about imposters, works in translation | Permalink.